We are Placing a New Order of these High Quality replica Seats and so are offering all our Customers a chance of Pre-Ordering their desired seats NOW and so they are ensured them in time for the summer Show Season!! We have been selling these seats for Years now and are 1 of our Best Selling Seats and hence demand is always massive for them and this is why they are one of the few items that we offer Advance Pre-orders on. This shipment of seats is due with us Late June and so customers also have the option of paying off monthly on their seats in advance so that they won't fill the pinch in the pocket so bad when they do land!! All seats come with side mounts and universal sliders and so are even better value when these extras are taken into consideration!! We also stock a range of bolt in Civic Rails from just €40 each or can order in SParco frames for a range of other cars form €95 each so please contact us for pricing and availability on these base frames. 25% Deposit is required to secure order and payments can be made in store, card or paypal. As usual we will be getting some of these seats for in store stock but they always fly off the shelf so a Pre-Order is HIGHLY recommended!! 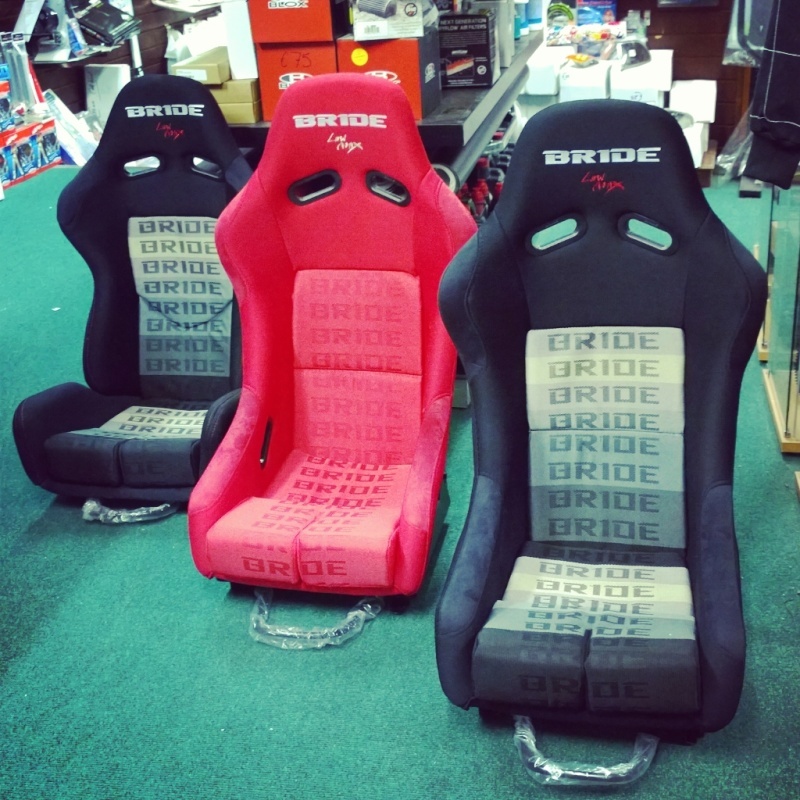 These Bride Japan Seats are Special Order ONLY and do not include rails/sliders.